Black Friday: The day after Thanksgiving. Millions of people run around like chickens with their heads cut off, scouring stores for great deals and irresistibly good prices. Occasionally, myself included. That being said, I have a minor obsession with the day after Thanksgiving for a different reason. In our home, that’s the day we go to the tree farm and carefully pick out and cut down our Christmas tree for the year. We roast marshmallows, we sip apple cider, and then we load up and head home to deck our halls. It’s one of my favorite days of the entire year. It’s also typically a big production, and I don’t want to waste a minute I don’t have to on anything else, including dinner. So usually that day, dinner is a fend for yourself night, or a snack supper. 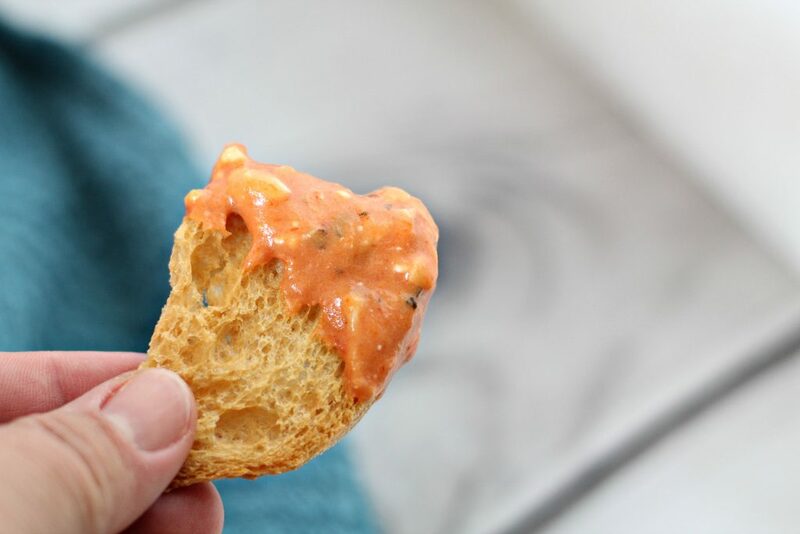 Last year, I made this recipe as part of our snack selection, and I am happy to say it will be returning again this evening. Easy for me, and a total kid favorite. Happy Mom, Happy Sons. All is merry & bright. 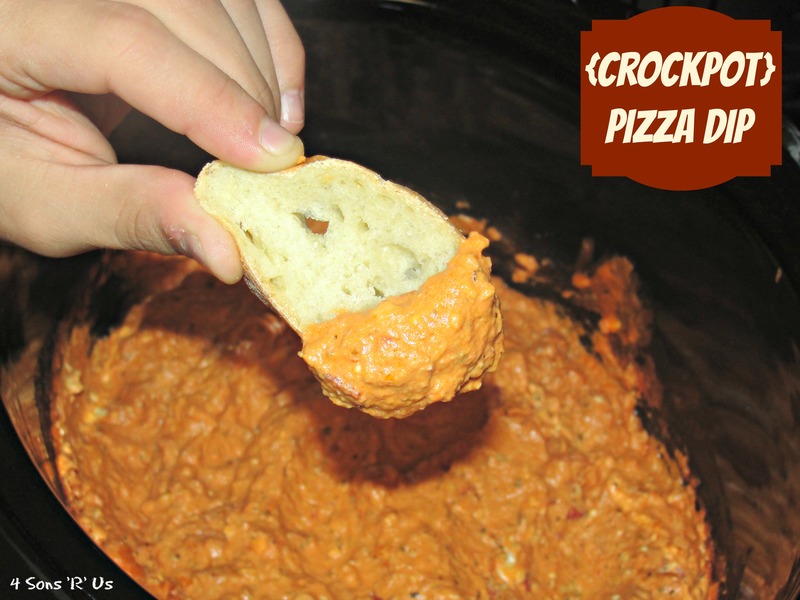 Whether you’ve been out fighting the crowds and shopping until you drop, you’re too busy bringing in the good cheer, or you’re hosting a family & friends this crockpot pizza dip is sure to please your hungry crowd with hardly any effort at all on your part. 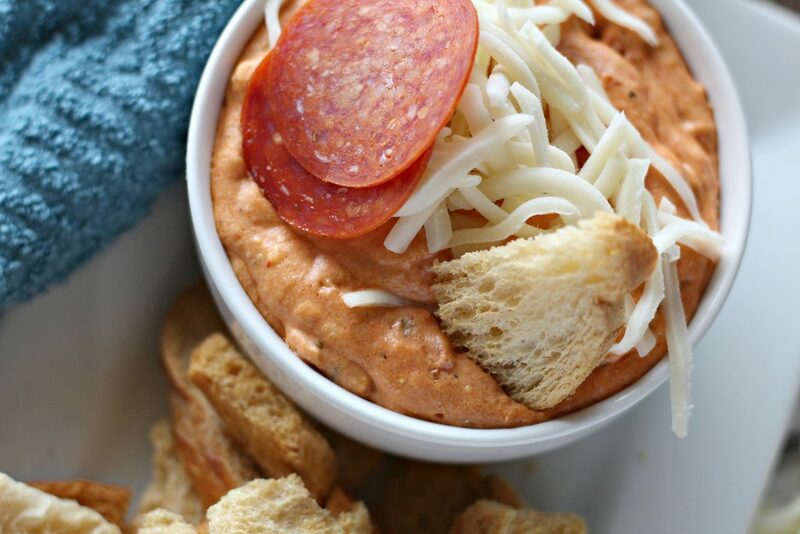 Cream cheese, a blend of Italian cheeses, pizza sauce, and Italian seasoning are combined in the crockpot, studded with crumbled Italian sausage and diced pepperonis, and slow cooked to creamy perfection. 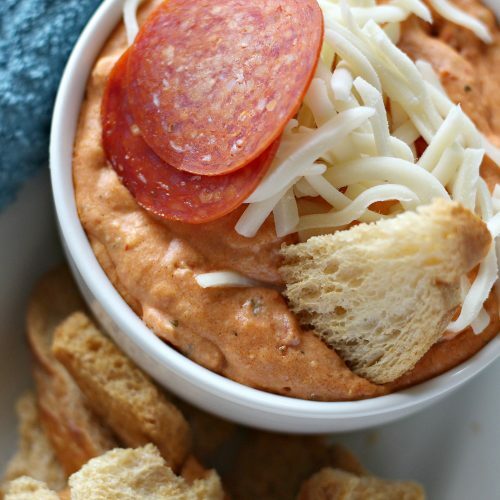 The result is a dip made to please any crowd, especially when paired with slices of crusty bread. 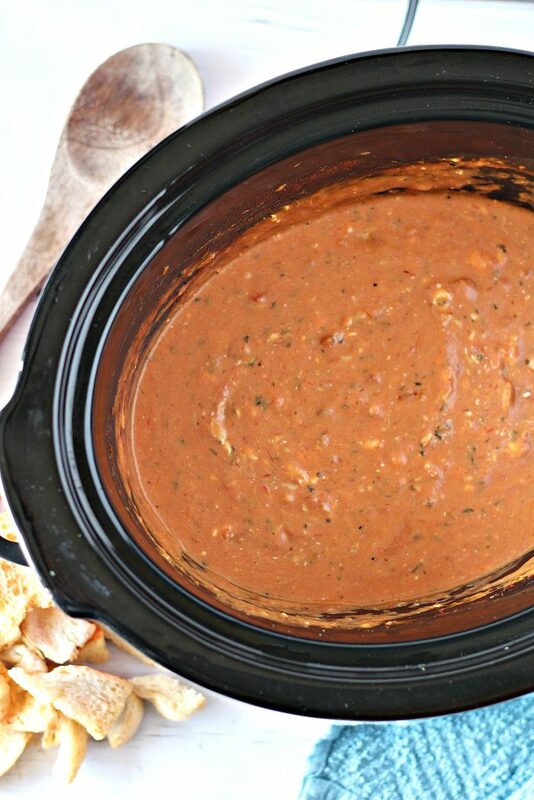 Put all the ingredients in the crockpot and cook on high for about 1 hour. 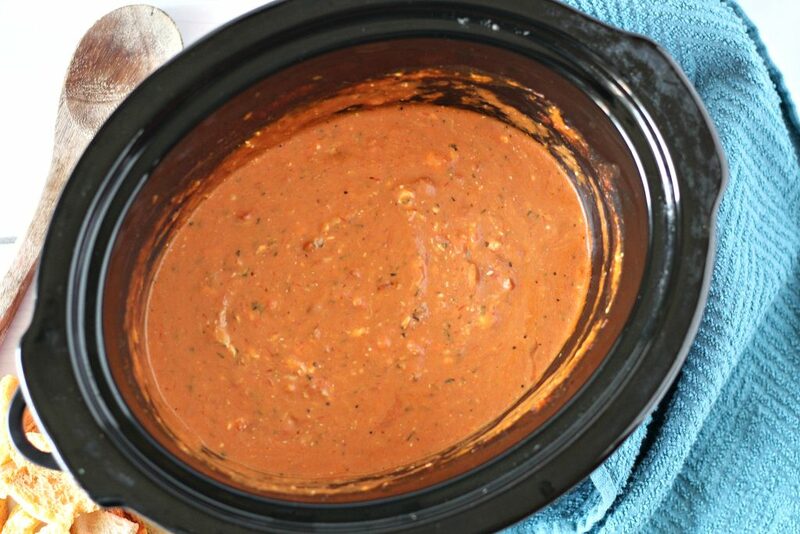 Once all ingredients are melted and stirred to combine, turn crockpot down to warm. Serve warm with crusty bread slices. This is a great idea! 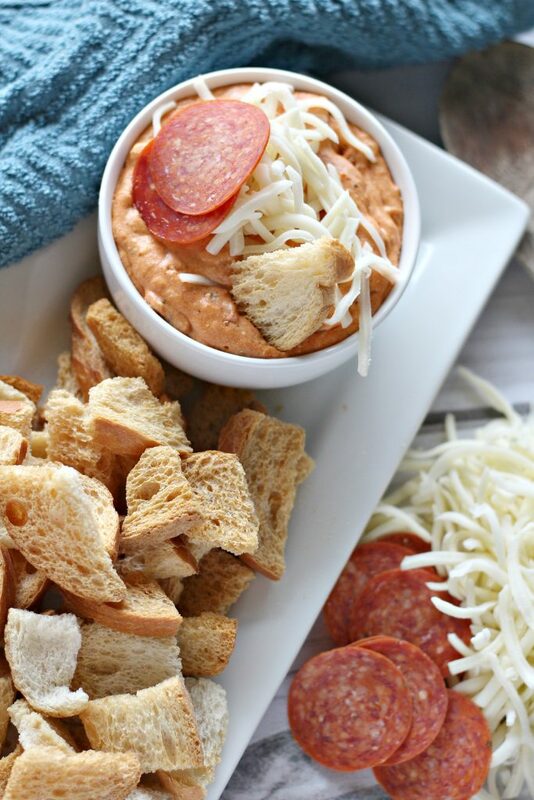 I love how you creatively transformed this classic party food!